Want a little extra protection when you haul your boat up for an island picnic? Ask us to add shoes. 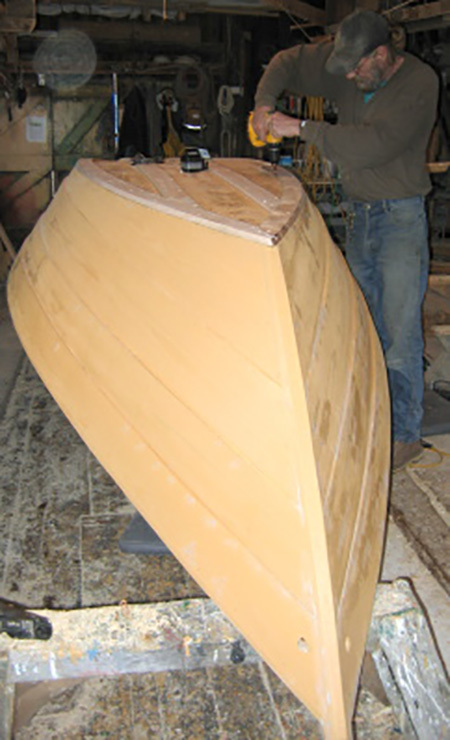 These oak strips run along either edge of a dory’s bottom as well as a couple from stem to stern. Or if you anticipate extreme rough handling on rocky shores, we can add an entire layer of hardwood known as a false bottom.